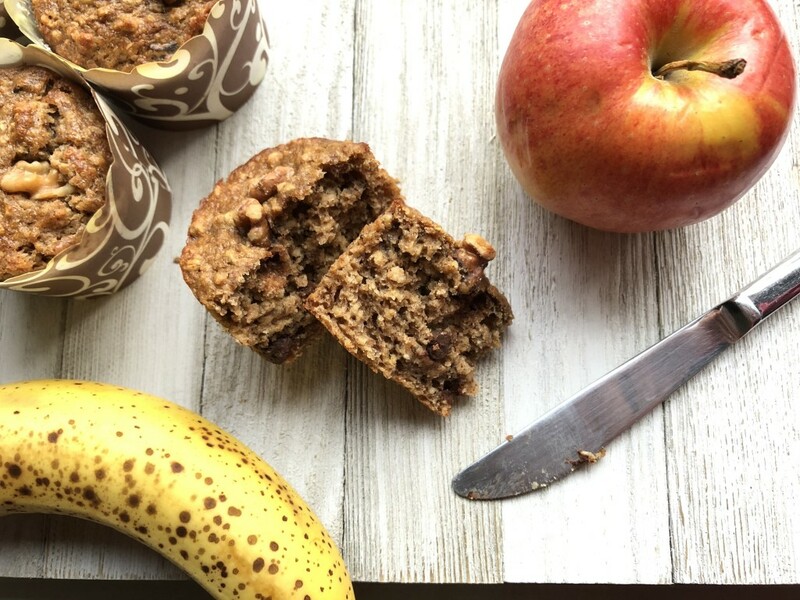 When I have a bunch of overripe bananas I’m always faced with the dilemma….WHAT TO MAKE? There are SO MANY food creations that involve these delicious fruits! Do I keep it simple and freeze them for smoothies or banana “ice cream”? Add the wet ingredients to the dry and mix until just combined. Fold in the optional raisins or chocolate chips. 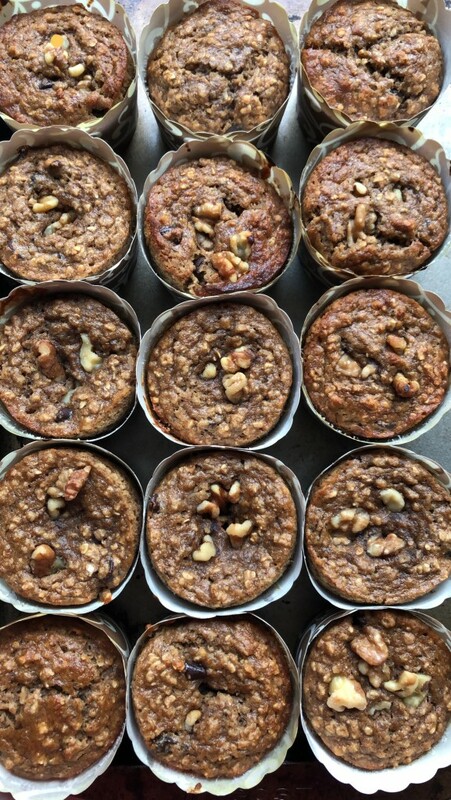 Divide the batter among the muffin cups evenly. Bake for 15-20 minutes, until tops are firm, or until a tester comes out clean. Allow to cool in the the tin or muffin cups for about 10 minutes before moving to a wire rack to cool completely. 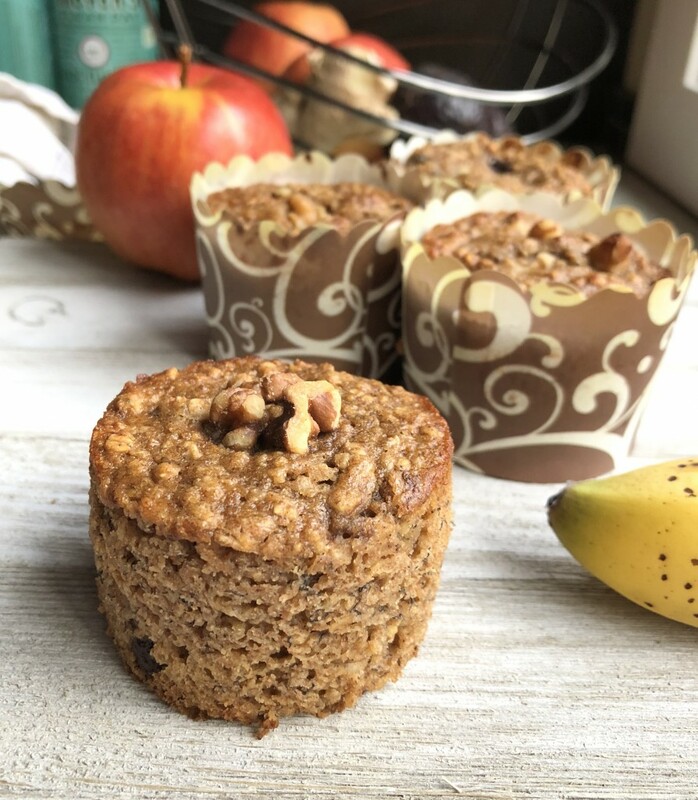 For a no-mess option, I highly recommend using the firm paper muffin cups that stand alone on a baking tray - no dishes and they are compostable. Cleaning out a muffin tin is quite possibly the worst kitchen chore!! Or perhaps venture into Foodie-land and dive into a new banana bread, muffin or cake-type item? Sometimes all you need is one good SIMPLE recipe. This is what this is…nothing too fancy, but does the job – well. 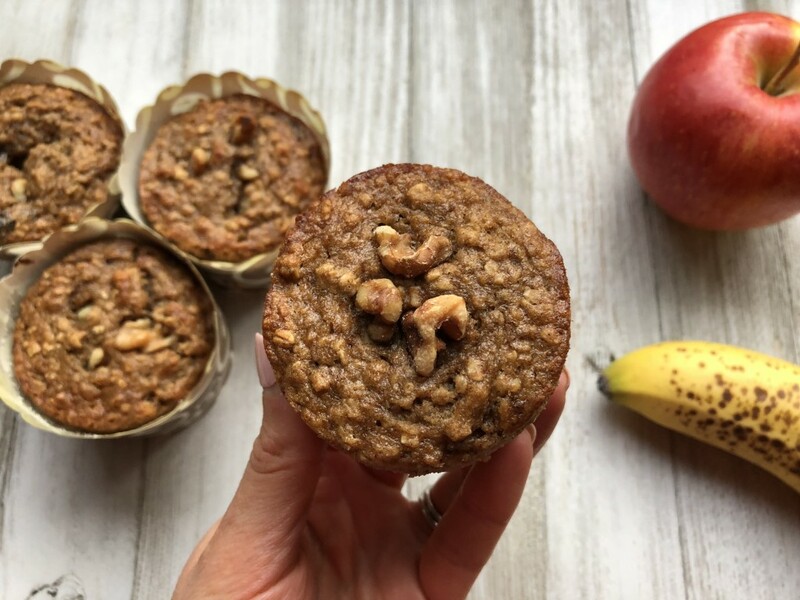 Perfect for snacks, a healthy dessert or a breakfast side. Welcome, I'm Crystal! As a registered dietitian and fitness enthusiast I'm here to share how delicious, healthy food can fit into your busy schedule. Follow me for healthy treats, nourishing eats and fitness feats.